Following the theatrical release, Indican Pictures will release the film in July, through Video-on-demand and on DVD. JASMINE continues a successful film festival run, receiving over thirty awards, including stops at: Sydney, Hong Kong, Mexico, Los Angeles, Miami, the Bahamas, Philadelphia, Palm Beach and St. Louis. Upcoming stops include: the Madrid International Film Festival (11th July) and the Auckland International Film Festival (10th & 11th June). JASMINE will be showing worldwide, throughout the summer and this is one tale of revenge, which should not be missed. 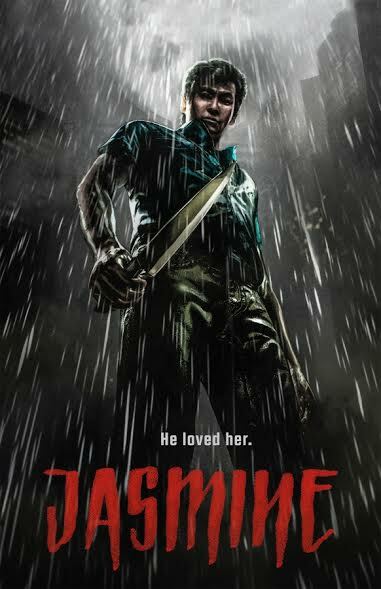 Jasmine is a mind-bending psychological thriller about Leonard (Jason Tobin). Leonard is struggling to come to terms with his grief, nearly a year after his wife's murder. Hoping to move on with his life, Leonard reconnects with Grace (Eugenia Yuan), a woman from his past; his outlook,thanks to her, begins to brighten. Then, a visit to the site of his wife's murder leads him to a mysterious interloper (Byron Mann), who he believes is her killer. Leonard decides to take justice into his own hands as events take a startling turn towards the unexpected. Release Date: 16th June 2017 (Limited Theatrical, U.S.) and July 2017 (VOD, DVD).